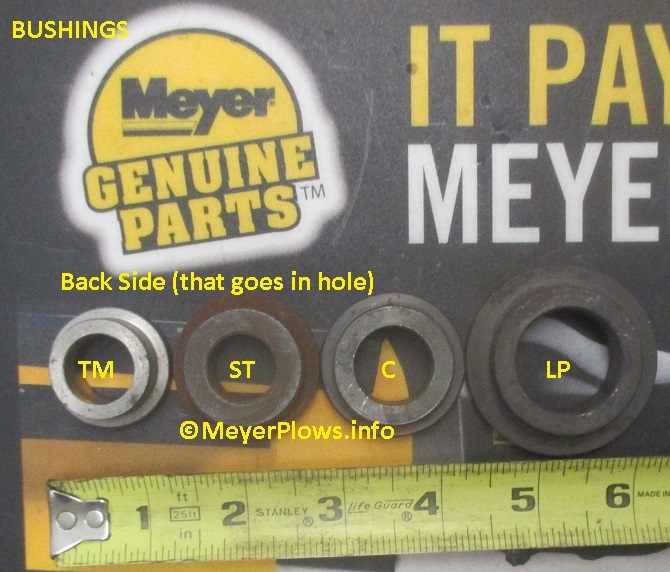 Here are the ONLY Bushings available for Meyer plows from Meyer Products. The ruler is to give you a general idea of the outside diameter of the "lip" that gets welded into place. The TM and ST Series have a 5/8" hole for the King Bolt. The C Series has a 3/4" hole for the King Bolt. The Lot Pro has a 1" hole for the King Bolt. Here is a view of the "back" side, that goes in the hole in the piece (Sector or A Frame). As you can see, the ST actually has the thickest wall. The Lot Pro has the same wall thickness as the C Series. 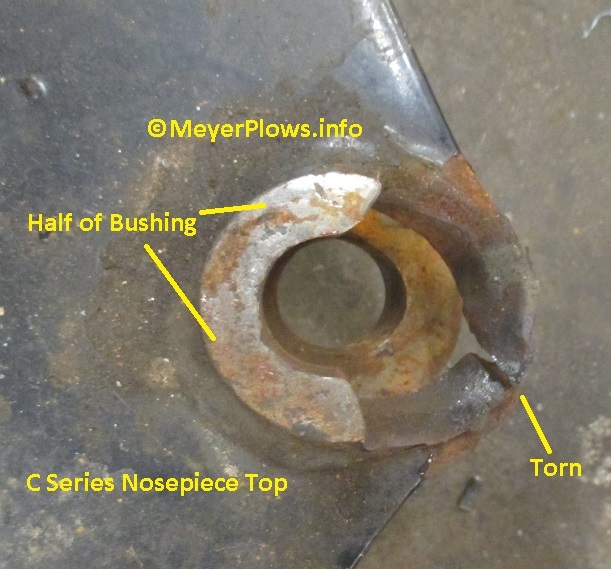 Here is a typical Meyer C Series Nosepiece Top Bushing that cracked, a piece fell out, and the plow was ran anyway until the steel tore and the plow was almost in two pieces. This A Frame was beyond repair for other damage so it was replaced. 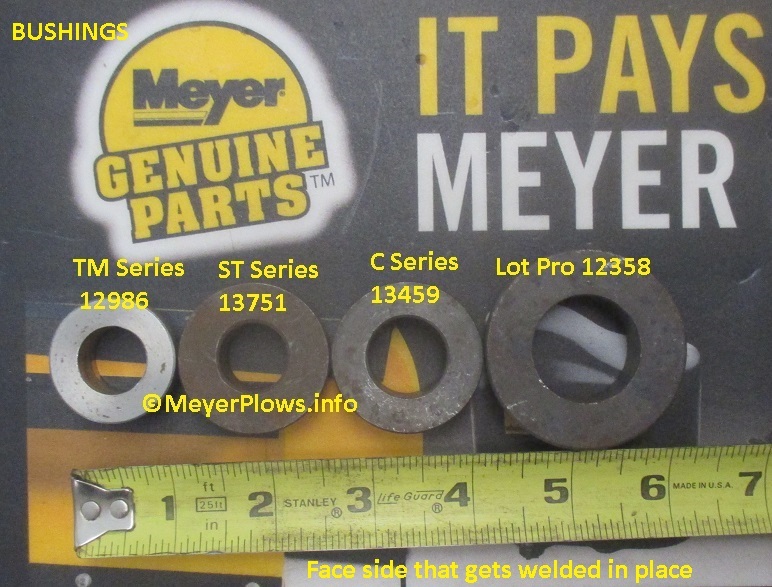 Here you can see a tiny piece of the Bushing still left in the Meyer C Series Sector and how large the hole is. The Bushing must fit tightly in the hole or it will crack. The hole must be filled with weld and made round again. The hole has been repaired and the Bushing can now be welded in place. The Bushing has been replaced. Bushing for TM Series and Drive Pro 6' 8" Pivot Bar. Must be welded in. REQUIRES WELDING. Has a 5/8" diameter hole in it.